Baby Safety | Broward Healthy Start Coalition, Inc. Babies depend on their parents to keep them safe from harm. Even parents on a limited budget can provide a safe and loving environment for their baby. The Broward Healthy Start Coalition has adopted the Safe Baby Curriculum developed by the Healthy Start Coalition of Hillsborough County. Safe Baby is designed to educate and empower parents of newborns in order to keep babies safe from common preventable causes of death. If you are a new parent, we encourage you to make a commitment to your baby to protect and keep him safe. Being a parent and protecting your child is your most important role. 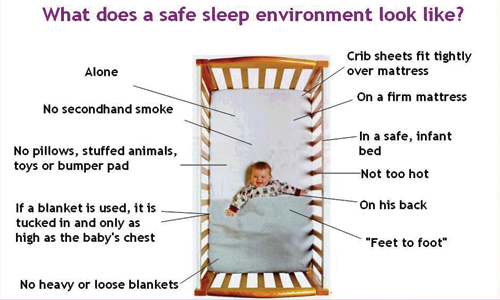 Please visit the Safe Baby website at http://www.healthysafebaby.org/ to learn more about how to keep your baby safe. Drowning is the leading cause of death of children ages 1-4 in Broward County and these deaths are 100% preventable. Please do not let your child become part of this devastating statistic. To read and download the local Water Smart Babies resource guide, CLICK HERE. Heatstroke in vehicles is the leading cause of all non-crash-related vehicle fatalities involving children 14 and younger. On average, 38 children die in hot cars each year from heat-related deaths after being trapped inside motor vehicles. Even the best parents or childcare provider can overlook a sleeping child in a car, and the end result can be injury or even death. These injuries or deaths are 100% preventable. Everyone has a role to play in protecting our children, so Look Before You Lock!